If you’re thinking about charity skydiving in Yorkshire then why not choose Leeds-based charity St.Gemma’s Hospice for your parachute jump. The Hospice is a fantastic facility providing invaluable in-patient care for those with life-limiting illnesses, in particular cancer sufferers, as well as support for their families in the Leeds area, recently rated ‘Outstanding’ by CQC. They also have a team of community nurses and an out-patient Day service which helps patients to remain in their own homes and still maintain a good quality of life. St.Gemma’s is actively involved in research and development to improve standards of care for terminally ill patients and is recognised as a training centre to healthcare professionals from all around the UK. 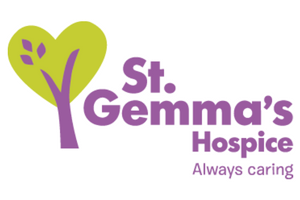 The Hospice costs over £9 million per year to run and two thirds of this is raised by St.Gemma’s itself whose staff work tirelessly to ensure donations and fundraising initiatives continue to allow care free of charge to its patients. Places like St Gemma’s really do provide a lifeline not only to the patients but to their families and friends, so Skydive Hibaldstow is pleased to help support their fundraising efforts. St.Gemma’s Hospice ask you raise a minimum of £450 per person to take part in a charity skydive. St.Gemma’s Hospice organise several event dates over the year, or if you can’t make them then you can just choose another date for your skydive. Places are reserved on these dates for the charity until 8 weeks beforehand so make sure you get your deposit into St.Gemma’s to secure your place. You can register by filling out the registration form below and paying a £50 deposit (either by cheque or credit card) to St Gemma’s Hospice. Please make sure you read the booking information sheet as well.